WELCOME - Website of doctorlovejoy! http://www.cdc.gov/vaccines/schedules. There are very few changes from the 2015, except the addition of the Meningococcus B vaccine for certain at-risk children. It may also be considered for all children 16 years and older. Should you come from another country, continuing your current schedule is rarely a problem. Please be aware that in France, physicians do not stock vaccines, but rather you must obtain a prescription and fetch them directly from a pharmacy. 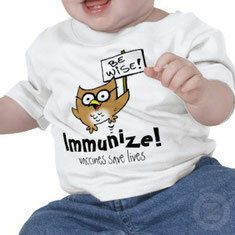 Of note, the 2013 French immunization schedule has been published in late April. There has been a reduction of the number of vaccines, and a change in the timing. This may be a problem for you once you return home after your time in France. Feel free to discuss with Dr. Lovejoy. Should you have concerns about vaccine safety or the number of vaccines given, please let Dr. Lovejoy know. You may also want to visit the following site: www2.aap.org/immunization. This vaccine is designed to protect young children from a particularly severe form of diarrhea caused by the rotavirus. There are two vaccines in production, the Rotateq and Rotarix. The Rotateq was approved by the American Academy of Pediatrics on November 2, 2006 in the US; and is now an official recommendation. The Rotarix (an oral vaccine) is approved in Europe and, as of April 2008, also in the U.S. The two vaccines are of comparable safety and efficacy; however the Rotarix is two doses, and the Rotateq is three. Rotarix is usually given at 2 and 4 months of age; the final dose should be given by 8 months of age. The rotavirus vaccine is not routinely recommended in France due mainly to financial constraints. It may reduce the risk of developing celiac disease in predisposed children. Both versions of the rotavirus vaccine are safe and recommended in the USA. The first shot is when your child is 12 to 15 months old and the second at age 4 to 6 years. These three diseases are nearly gone from the U.S., but not from Europe. However, they will come back if children are not fully vaccinated. The French schedule requires the second MMR shot at an earlier time, between 18 and 24 months. There was a measles epidemic in France from 2007-2011 due to under-vaccination. The French authorities do stress the second shot at 24 months, however in the US and elsewhere the stress is on timing it at age 4-5 years, when children enter kindergarten. Internet rumors abound linking the MMR vaccine to autism. There have been four major studies in the past decade showing no scientific link between this vaccine and future developmental problems. In addition, on February 6, 2010, the Lancet medical journal retracted the one scientific article linking MMR to autism. The author, Dr. Andrew Blakefield, falsified his data. He also had filed for a patent for a single-vaccine shot (measles only), hence his article served his own financial interest. See the January 12, 2011 article in the International Herald Tribune title “Autism Fraud” for an update. Pertussis, or whooping cough, is a dangerous disease for infants. Several years ago there were concerns raised about side effects of the vaccine, especially seizures. With the newer acellular vaccine, this risk is now very small; nonetheless, let your physician know if your child has an underlying seizure disorder, or there is a family history of seizures. The risk of suffering and death caused by whooping cough is far greater than the possible side effects of the vaccine. A child who has not been immunized against pertussis has a chance of 1 in 3000 of getting whooping cough. In contrast, a child who got the vaccine has a chance of 1 in 2 million of having neurological damage with the vaccine. The risk of children getting pertussis increases if fewer children are immunized. The AAP recommends a booster at 11-12 years of age. This vaccine is mandatory for entry into French schools. In France a pertussis booster at age 4-6 years is not necessary, as it is in the U.S. although most children do indeed receive it with the DTP vaccine. The French schedule recommends a pertussis booster at age 11 years, and again at age 26-28 years, the latter to immunize parents in order to further decrease transmission to their children. This is not yet a U.S. recommendation. In 2013 the USA recommends that adult women receive a pertussis booster with every pregnancy. 2013 French recommendations are pending. Haemophilus influenzae is a type of bacteria that causes several life-threatening diseases in young children (such as meningitis, epiglottitis, and pneumonia). Before the vaccine was available, over 10,000 children in the U.S. developed haemophilus meningitis each year. About 500 of them died and 3800 became mentally retarded, blind or deaf, or got cerebral palsy as a result of the disease. Because of the vaccine, haemophilus influenzae type B is now uncommon in the U.S. The Hib vaccine does not protect against flu and meningitis caused by viruses. The polio vaccine protects children from this now rare but crippling disease. The polio vaccine schedule issued in 2000 recommends inactivated polio vaccine (IPV) for all polio doses. In France, your child needs to have more polio shots than in the U.S: every five years until age 16-18, and every ten years thereafter. The Pneumococcus is a bacterium which, similar to Haemophilus type B, can cause serious blood infections, meningitis, bone and joint infections, but also ear infections. The vaccine available for babies has been offered in the US since the year 2000. It is given along with the basic series of shots, a total of 4 times in the first 15 months of life (but just 3 times in France). Your child needs a total of 3 hepatitis shots. Vaccination against hepatitis B prevents this type of hepatitis and the severe liver damage that can occur 20 or 30 years after a person is first infected. More than 5000 adults die each year in the U.S. from hepatitis-related liver cancer or cirrhosis. The younger the age when the infection occurs, the greater the risk of serious problems. If you have an older child who was not vaccinated against hepatitis B as an infant, ask your doctor whether he or she should have the shots. There was concern raised in the past few years in France about a possible link between the Hepatitis B vaccine and Multiple Sclerosis. A French study showed no link in children, and the French Minister of Health reaffirmed that the vaccine should be given, especially in light of over 2,500 deaths per year from Hepatitis B in France. The chickenpox vaccine is usually given between the ages of 12 and 18 months, but it can be given to older children if they have not had the vaccine or the disease yet. Children age 13 or older should get 2 doses at least 4 weeks apart. As of 2007, there is a booster dose at 4-6 years to improve the efficacy of the vaccine. After just one dose, the vaccine is 70% to 90% effective in preventing chickenpox. If vaccinated children get chickenpox after the first dose, they have a much milder form of the disease. By being vaccinated, you can reduce the chance of missed work and school, skin infections, medical costs, and of getting shingles later in life. If you decide against the vaccine, be aware that getting the disease as an adolescent or adult is usually much more severe, and can cause permanent scarring. In France the vaccine is not routinely recommended; however, it is so if your child is entering adolescence and has never had the disease. This vaccine is now universally recommended in the USA as of 2007. In France it is recommended for high-risk patients, including people traveling to developing countries. Hepatitis A is a common illness in the developing world, which one can catch from contaminated water or food. It consists of two shots given at least 6 months apart. It can be given after 12 months of age, but to minimize the number of shots at any one visit, Dr. Lovejoy usually gives it at 18 and 24 months. It can also be combined with the Hepatitis B vaccine (just one needle stick). There are several meningoccal (one of several types of bacteria which can cause meningitis) vaccines on the market in France. The US recommendations are that the combination A,C,Y, W135 should be given to children at the 11-12 year visit, or before entry to high-school, or before college if not previously vaccinated. This vaccine is produced commercially in France as of April, 2010, and is called Menveo. In 2011 a booster dose was added to the US schedule. After the booster dose, protection is considered life-long. The meningitis C (only) vaccine has, as of June 2010, become a universally recommended vaccine in France for children 12-24 months of age. It gives only 3 years of protection. There is also a meningitis A+C vaccine available. It gives only 3 years of protection. A significant percentage of meningitis in infants and children caused by the meningococcus bacteria is caused by type B. After waiting for a vaccine for twenty years, the Bexsero vaccine is now in production. It is not yet on the French or USA immunisation schedule, but ask Dr Lovejoy if you would like it for your children. This vaccine, called Gardasil, is designed to prevent infection with the Human Papilloma Virus, the leading cause of cervical cancer. It is the first cancer vaccine in history. It is recommended at 11-12 years of age, before any sexual activity has started. It is somewhat more efficacious when given at this age than during the later teen years; it is not effective when given after significant sexual activity. It consists of three shots given over 6 months. It was approved on November 23, 2006 in France. It is currently an expensive vaccine, but 65 percent reimbursed if you are in the French health care system. As of spring 2008 there is a second type of vaccine, but it has less coverage than Gardasil, and so Gardasil is the favored choice. As of spring 2012 the US recommendations expanded to boys ages 11 and older. The Advisory Committee on Immunization Practices (ACIP) recommended in early November 2011 that boys as of 11 years also be vaccinated, and in March 2012 the AAP officially added this this recommendation to the US schedule. The idea is to protect men from the disease but also to reduce asymptomatic transmission to a female partner. (In both males and females, HPV infection is often asymptomatic). Influenza can affect anyone, and epidemics of influenza occur during the winter months nearly every year. Influenza is spread through coughing and sneezing, and is highly contagious, especially in childcare centers, schools, and nursing homes. Influenza generally comes on suddenly, and symptoms include muscle aches, fever, chills, headache, cough, and runny nose. Young infants may develop croup. The most frequent complication of influenza is pneumonia. Myocarditis (inflammation of the heart) and worsening of chronic lung diseases also may occur. The vaccine is given every year due to the changing of strains seen every year. For children under age 8 years, the first year they must receive the vaccine twice. For children under age 3 years, a half-dose is given each time. The vaccine is available in France without a prescription, usually as of mid-October. Unless there is an ongoing epidemic, we usually stop vaccinating at the end of January, but it can be given through April. Egg-allergic children should generally not receive the vaccine. The American Academy of Pediatrics broadened their recommendation in August 2008 to include all children ages 6 months to 18 years. In France it is not universally recommended due to financial constraints, but is so for children with a history of wheezing or cardiac disease, and as of November, 2008 they recommend that the °family° living with infants under 6 months of age be vaccinated. The American Academy of Pediatrics also recommends the entire family be vaccinated if you have a high-risk child, or a child under 5 years of age. Should one of your children have asthma or bronchiolitis, it is strongly recommended to vaccinate him/her every year regardless of age, and the entire family as well. This vaccine has never been recommended in the U.S. It does not prevent a person from catching tuberculosis, but is fairly effective in preventing severe TB disease in young children. Once vaccinated, there is a risk that any future skin test (PPD) done upon return to the US will be positive, which entails taking medication for 9 months. As of July, 2007, the BCG is no longer mandatory in France, but is still recommended for at-risk children. Feel free to discuss the pros and cons of this vaccine with Dr. Lovejoy. If any of the following conditions apply to your child, talk to your doctor before getting your child vaccinated. 1. Your child had an allergic reaction to a previous vaccination. 2. Your child has seizures or serious neurological disease. The pertussis vaccine (DTaP) should not be given if a child has seizures or serious neurological disease. You can still give your child the tetanus and diphtheria (Td) vaccine without the pertussis vaccine. 3. Your child has poor immunity. Children with weak immune systems should not get live vaccines (for example, chickenpox, MMR or the Rotavirus vaccine). These children should be vaccinated with the inactivated polio vaccine (IPV) for all 4 doses. This is because the live oral polio vaccine (OPV) carries a small risk that children who have poor immunity, or who are living with adults who have poor immunity (for example, people who have AIDS), will get or pass on polio from the vaccine. 4. Your child has egg allergies. Children who have a severe allergy to eggs should not receive the influenza or yellow fever vaccines, unless under the guidance of an allergist. Children who are allergic to eggs can receive all other routine immunizations. Although the measles and mumps vaccines are grown in chick embryos cells, these vaccines remove the egg proteins and can be given without having your child skin tested for an egg allergy. The child had soreness, redness, or swelling at the injection site after a previous DTaP shot. The child had a fever of less than 105°F (40.5°C) after a previous DTaP shot. The child has a mild illness such as a cold, cough, or diarrhea without a fever. The child is recovering from an mild illness such as a cold, cough, or diarrhea. The child has recently been exposed to an infectious disease. The child is taking antibiotics. The child's mother is pregnant. The child has allergies (unless it is an egg allergy). The child's family has a history of convulsions or sudden infant death syndrome (SIDS). CONCERNS ABOUT VACCINE SAFETY ? Ask Dr. Lovejoy for links to several internet sites, or purchase the book, “Do Vaccines Cause That?” A Guide For Evaluating Vaccine Safety Concerns, by Martin Meyers and Diego Pineda.